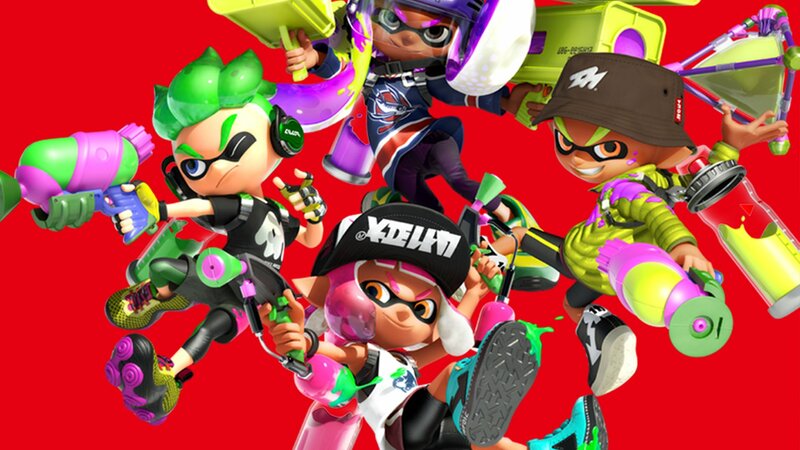 According to information unveiled from recent data mining efforts, Nintendo Switch players who can't get enough of Splatoon 2's signature third-person action will soon have even more weapons and maps to learn. User OatmealDome has put together a Reddit post centered around all of the new information revealed from latest Splatoon 2 update, and these data mining ventures have uncovered the existence of new maps, an all-new weapon type, and a curious modifier that looks to point to existence of a third playable character type. What's New In The Latest Splatoon 2 Update Data? According to information unveiled through the Splatoon 2 update file version 1.1.1, Nintendo appears to be gearing up to roll out a number of new maps. Two new maps named Line and Tunnel were referenced in the data, and new image placeholders were added representing the maps Kawa and Pillar that players first saw revealed through Nintendo Direct. The developers seem to trying out new Salmon Run stages, too -- the data references two additional Salmon Run maps named Shakehouse and Threepoints. The data mine also reveals a new weapon category called Squeezer. The update contained a selection of text revealing Sheldon's explanation for the new weapon category, wherein he describes the Squeezer as a semi-automatic long-range weapon. Beyond that, players can also expect a series of new Grizzco branded weapons including a Blaster, Charger, and a new Brella. Lastly, information from the update data contained a new value called PlayerType, which overwrites the value used in the original Splatoon to define a player's chosen gender. Now, it appears that PlayerType shares its values with another parameter that can define players as either SquidGirl, SquidBoy, or Oct. Data mining also revealed a new value called OctBoy, and both of these pieces of information allude to the future inclusion of player-controlled Octolings of a previously-unseen variety. Of course, data found within the Splatoon 2 update file doesn't necessarily correspond to immediate upcoming changes. However, with Nintendo's plans to continually update the game with fresh new content, it may be that Splatoon 2 players will be able to check out all of the game's new weapons and maps sometime in the near future. Trying to learn more about Nintendo's ink-slinging tour-de-force? Head on over to our Splatoon 2 guide hub, where we've collected loads of information regarding the game's weapons, collectibles, bosses, and more.